Today's post is another outfit of the day one. I went and took a LOAD of photos of various outfits and pieces so that I had a good backlog to keep me going. 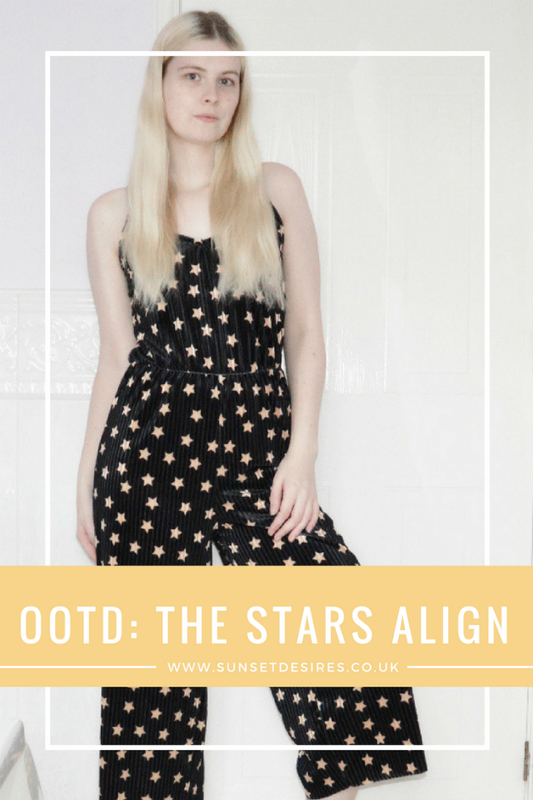 The piece featured in this OOTD is this gorgeous velvet star print culotte jumpsuit from Glamorous. One of Glamorous' version is a little different as it is any 10 random items for £20 including accessories. I was kind of dreading it thinking it was just going to be full of accessories but instead I received 7 pieces of clothing and 3 necklaces. This was just 1 of the 7 beautiful pieces I received (I will upload more outfits including those other pieces in the future). It is a velvet material with these lovely little gold stars on it. 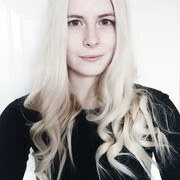 It is super soft and comfortable to wear and I can see it fitting in well with my spring wardrobe with a jacket over the top. I will probably even use it as lounge wear at home too! 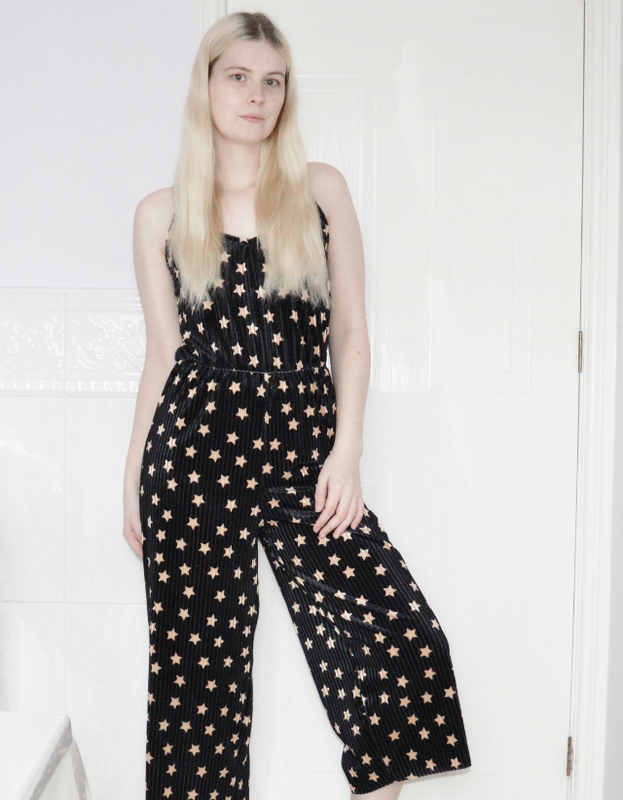 Let me know what you think of this jumpsuit in the comments below and what you would pair it with to make the perfect outfit. I unfortunately couldn't find this piece on the website any more but please see below for some similar velvet jumpsuit suggestions. Gorgeous! Denim jacket with white fur would look ace in my humble opinion. Lovely post! 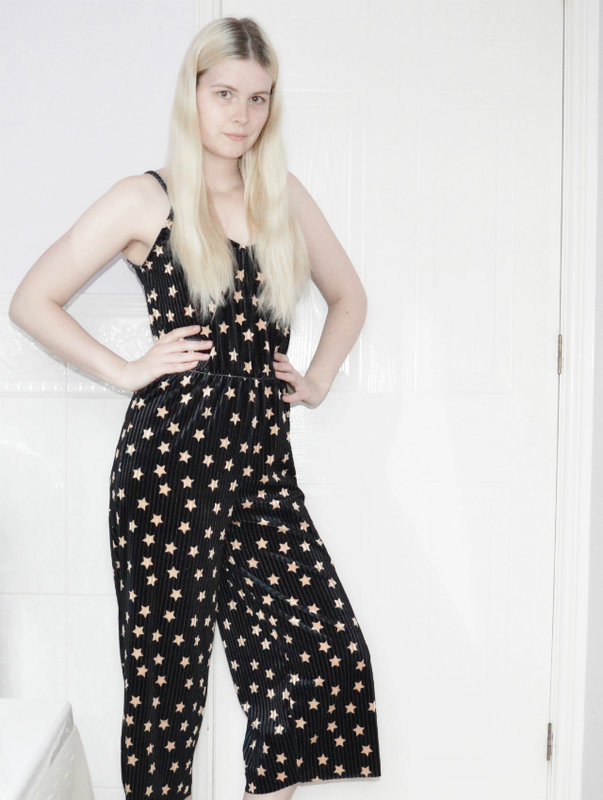 Gorgeous star print jumpsuit! 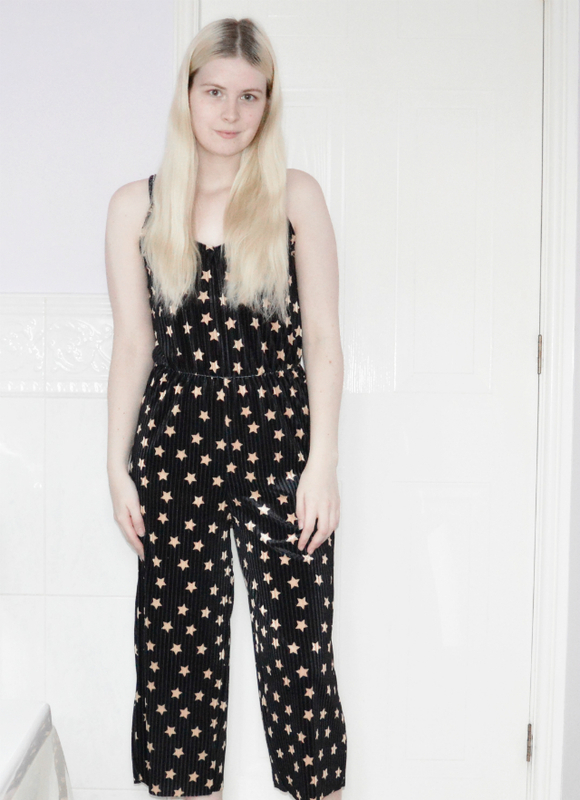 I'm a huge fan of overalls as they're easy to wear!